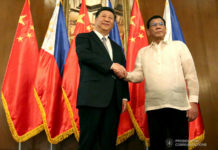 Fearing a backlash from investors, government economic managers protested the country’s 11-notch downgrade in the World Bank’s Ease of Doing Business (EODB) Report 2019. Released by the WB on October 31, the latest EODB report ranks the Philippines 124th among 190 economies. This marks a steep decline from the 2018 ranking at 113th and the second in a row since the country’s EODB ranking of 99th in 2017. 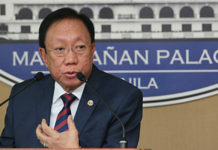 “We demand that the World Bank review the Philippines’ rating, and make a correction immediately given our country’s increases in the EODB scores, which was unfortunately offset by the grossly inaccurate and understated findings in the Getting Credit indicator of the report,” the Department of Trade and Industry (DTI) and the Department of Finance (DoF) said in a joint statement. “This correction should be done soon as the report could unduly compromise the Philippines’ standing among the investment community and negatively impact the country’s development, considering that this document is widely used as a reference by investors and survey organizations. As a highly respected institution, the World Bank has a responsibility to ensure that an economy is not unduly disadvantaged and that its report reflect the realities on the ground,” it added. Citing an emailed reply from the WB, Business Mirror reported last November 5 that the institution is standing by its findings, which were based on data directly sourced from credit reporting service providers. The EODB’s Getting Credit indicator measures “the strength of credit reporting systems and the effectiveness of collateral and bankruptcy laws in facilitating lending,” as described in the report. Data collection was completed in May this year, the WB said in the report. From 30 points in 2018, the current score is down to 5, with the depth of credit information index and credit registry coverage in the country rated at zero. In their joint statement, the DTI and DoF pointed out that had the WB included data from all the credit bureaus in the country rather than zeroing in on the BAP Credit Bureau, the Philippines could have easily hurdled the 5 percent coverage required. The agencies noted that BAP Credit Bureau has the smallest database of 1.7 million borrower-entrepreneurs. 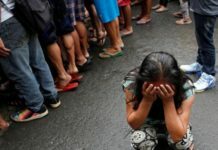 “It is ironic that the Philippines’ Getting Credit score slumped from 30 points in the 2018 survey to only 5 points in the 2019 survey when credit is growing year-on-year by 19 percent mostly to micro, small and medium enterprises, the highest among Asean-5,” the joint statement said. “Unfortunately, this drop in the EODB Score reflected a 42-notch slide in the Getting Credit ranking, with the Philippines now at the bottom tier at 184/190 (from 142). This is the reason for our very low overall EODB score of 57.68 and contributed to the steep decline in the country’s overall ranking of 124 (2019), from 113 (2018),” it added. 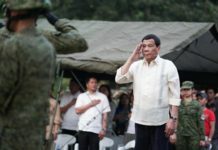 As far as the government economic managers are concerned, the Philippines deserves a score of at least 60 and overall ranking in the range of 101 to 108. It was noted that EODB scores on 7 out of 10 indicators increased in the 2019 report. These improvements were noted in getting electricity, starting a business, paying taxes, trading across borders, dealing with construction permits, registering property, and protecting minority investors. Scores for resolving insolvency and enforcing contracts were unchanged. Government economic managers had taken pains to highlight ongoing reforms to the WB team that visited the country in May this year. They showcased a one-stop shop in Quezon City as a model that would be cascaded nationwide to eliminate bottlenecks and streamline procedures in obtaining permits from local government units. Additionally, starting a business is easier now since the Securities and Exchange Commission had fully automated its company registration system and the Bureau of Internal Revenue had launched a single window option for tax registrations, according to the DTI. “Lest we be misconstrued, we recognize that the Philippines needs to improve access to credit information. Borrowers must have the (1) right to access their data, (2) banks and financial institutions must have online access to credit information, and (3) credit scores are offered as a value added service. Both positive and negative credit information must be reported and the credit registry must have data from retailers, utility companies, telecommunication companies. 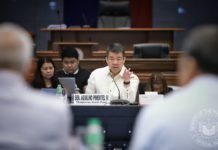 We also acknowledge the fact that while instituting significant reforms, we must also let the public become aware of them,” the DTI and DoF said in their joint statement. An aggressive communication campaign will be launched in the next three months with the goal of having regulatory reforms credited in the 2020 Doing Business Report cycle, they said.